The U.S. National Park Service (NPS) turned 100 on Thursday, August 25, 2016. The National Parks, and other lands managed by the NPS, truly are some of the jewels of the United States. The NPS works to preserve some of the most beautiful locations in the country, while still keeping them open and accessible to the public. I have benefited greatly from this system of parks and monuments, and I hope they continue to be preserved far into the future. I have not visited nearly as many of the parks or monuments as I would like, but included in this post are photographs from a number of the locations I have had the privilege of visiting, sometimes multiple times. The National Park Foundation can help you find a park near you. National Park lands are known for their iconic scenic views, beautiful mountain ranges, flowing streams and waterfalls, and fields of flowers. But they are also home to wildlife of all sorts: mammals, reptiles, birds, spiders, etc. And the Park lands also include many monuments and memorials showcasing fantastic statues and amazing architecture. If you haven't been to a National Park, Monument, or Memorial lately, get out there! Go visit one today. And take along your camera, create a few images. It's worth the trip. Locations Around the National Mall, Washington, D.C.
Kenilworth Park & Aquatic Gardens, Washington, D.C. The resource list below contains affiliate links and I will be compensated if you make a purchase after clicking on my links. This is at no extra cost to you. Ian Shive, recipient of the Ansel Adams Award for Conservation Photography, is well known for photographing America's National Parks. His work is showcased in a book titled, The National Parks: Our American Landscape. I own a paperback edition of this book, and it contains some fantastic imagery, along with a number of essays by different writers. The book is in landscape format, approximately 8" x 10.5" and is 228 pages in length. Ian's photos in this book present a far better sampling of our National Parks than I've done above. He has visited and photographed a great many of the parks over the years, capturing all aspects of them, from the iconic to the smaller, more subtle details. I believe Ian is a true master of his craft. In addition to the book mentioned above, Ian Shive has taught a 3-day class at CreativeLive titled, Photographing America's National Parks. This class includes over 15 1/2 hours of video, along with several PDF documents with extra info, such as the keynote slides and some amazing examples of Ian's work. I own this class and really enjoyed watching it. This was the first CreativeLive class to take the studio out to a National Park, allowing Ian to demonstrate, in the field, how he goes about creating his images. 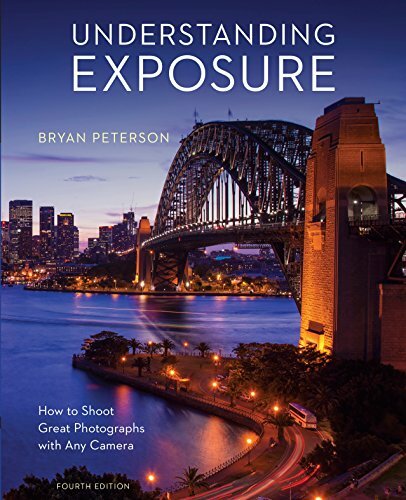 Most of the topics he discusses are relevant to any form of outdoor nature photography, whether in a local park, National Park, or just in your own backyard. In fact, he advocates starting in your backyard. Most of us have something near us worth photographing, and having it close by gives us the opportunity to easily return over and over again at different times of the day and during different seasons. We can really learn the place. And this helps later when we travel to other locations because we've already spent the time locally learning our lessons, getting to know our gear, learning about light and composition, knowing what's possible. The class includes many videos on location. The locations include several parks along the Olympic Peninsula, such as Olympic National Park and Mount Rainier National Park. In some videos Ian takes us through a photo shoot, describing what he sees and what he's thinking as he works the scene. In others he takes us on a scouting trip, looking for scenes that might prove promising at a different time in different light. Back in the studio he talks about how to select and edit your images and takes us through his process. 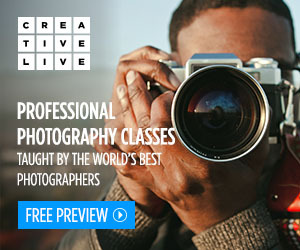 As with many of the CreativeLive photography classes, this one includes critique sessions where they discuss student photographs. These are great learning sessions. Later he talks about the business side of nature photography, describing different markets for selling your work, including a stock agency he founded, Tandem Stills + Motion. 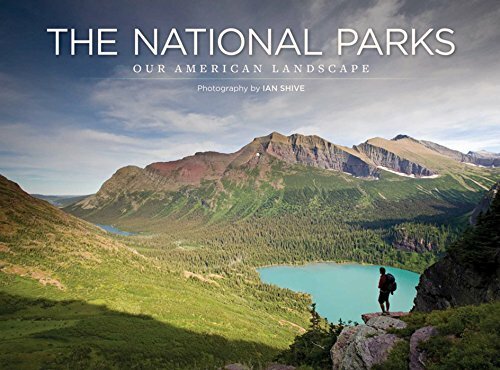 Photographing America's National Parks is available seperately or as part of the Travel Photography Toolkit, which also includes: Post-Processing for Outdoor and Travel Photographers with Ben Willmore and Travel Photography: The Complete Guide with Ben Wilmore. I purchased the first two and received a free copy of Travel Photography: The Complete Guide.